With a cult following that began in 1972 with his chilling film The Last House on the Left, Craven’s name has become synonymous with spine-tingling storytelling. 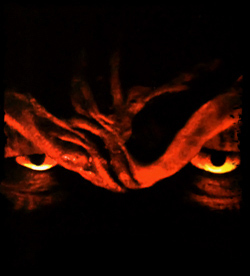 Following up with The Hills Have Eyes, The Serpent and the Rainbow and The People Under the Stairs, Craven has given moviegoers more sleepless nights than any director in recent memory. But now, in a town where movies go over schedule and directors go over budget, something far more evil is out of control. Wes Craven has returned to the darkest shadows of Elm Street with a frightening new twist on terror, for his dreams have begun to dictate real-life horrors for the stars of the original A Nightmare on Elm Street. And the evil that pursues them is no longer under the filmmaker’s control. Ten years to the day after unleashing the original, enormously successful A Nightmare on Elm Street, Craven returns to write and direct his “New Nightmare”—a film reuniting Robert Englund, the man who for a decade has played the demonic Freddy Krueger, with Heather Langenkamp, the fresh-faced school girl Krueger terrorized in 1984—and who eventually defeated him with unexpected and startling guts and spirit. Only this time the evil has moved beyond the screen, and in a descending spiral of terror and horrific action, Langenkamp and Englund—playing themselves—must come to terms with something so dark and powerful it can no longer be bound by film and story alone.